She has many names: mom, mama, mother, ma, madre, mutter, moeder, matka, mamma…the list goes on and on. No matter where you go around the world, a mother is universal. A mother by birth or a mother by love. A mother beside you or a mother watching over you. The love a mother gives her children is eternal. When you imagine a mama duck and her ducklings, what do you see? Is the mother in front or behind the ducklings? Is she pushing or leading? Does she command or guide? A mother duck leads her ducklings by example. Her ducklings do what she does. She is not seen pushing from behind, or sitting in one spot watching them go out into the world from a distance. 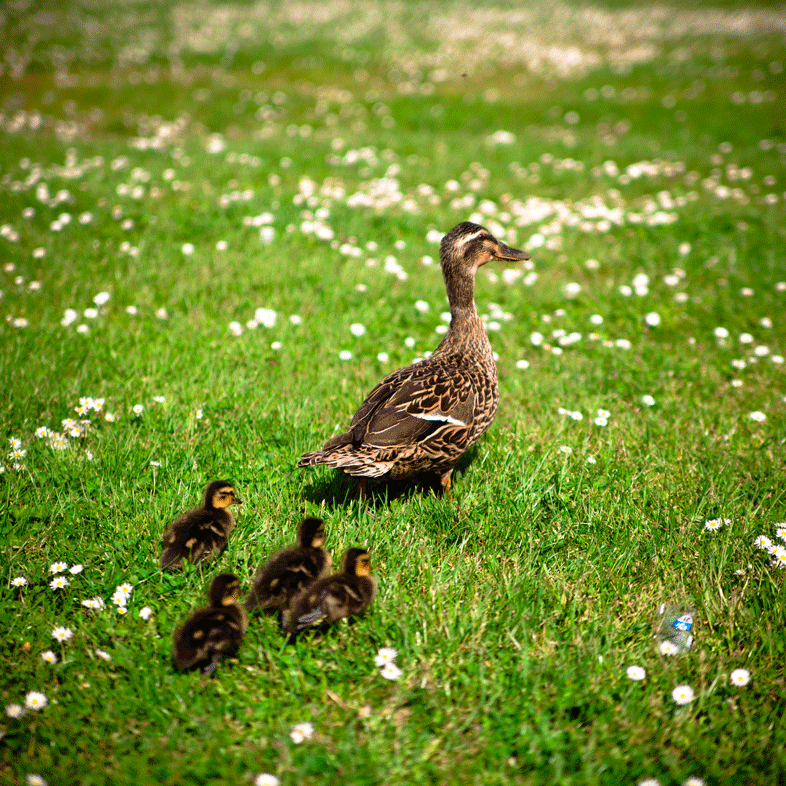 The influence she has on her ducklings often goes unnoticed because it is done quietly. We always hear the phrase, “Actions speak louder than words.” My mother was a wonderful example by her actions. I learned by watching her in action. Here are a few of those things in no apparent order. #1- Be the first to admit you are wrong (even though you may be right). I remember a specific time when my mother came into my room late at night and apologized for something she had done. I don’t remember what it was but I remember that action. She was humble and asked herself, “What if I’m wrong?” She approached her daughter and that one moment in time engrained a lifelong lesson in her daughter. #2 – She taught me to pray. Before my dad left everyday he kissed my mother. They held hands everywhere we went. I remember a time after dinner when we were all clearing our plates, Dad had left to go do some chores outside and didn’t clear his plate. Of course we as children were putting up a fuss that we had to clear his plate (It was such a big deal back then). My mom quietly said in a loving tone, “Don’t worry about your father’s plate. I will take care of it.” Again through her actions left an image in my mind of how to treat your husband and teach your children by example. #4 – Create traditions your family will remember forever! I have fond memories of many different traditions growing up. At the center of each one was my mother. Traditions bring families together. Traditions renew hope and love within a family! My mother rocked this category and knew how to throw a fabulous get together! A mom can affect an entire generation by what she teaches within her home. That, my fellow mamas, is POWERFUL!! I watched a short video produced by The Church of Jesus Christ of Latter Day Saints that was absolutely fantastic. It wasn’t long before I had tears in my eyes as the message touched my heart. You are not “JUST A MOM”. You are so much more and are here on this earth to be so much more. Be confident…. stand out….. be strong….. and lead by example. We are in this together. Keep smiling and love your children! For a fun laugh check out these Motherhood Memes! I want to help you celebrate motherhood by letting you know of this AMAZING deal that Pampers at Sam’s Club is putting on! Pampers at Sam’s Club knows how hard moms work and are celebrating YOU with savings on diapers and wipes specifically at Sam’s Club! Right now, you can get $5 off each package of Pampers diapers, and up to $5 off each package of Pampers wipes – all at Sam’s Club AND on samsclub.com (with free shipping!). I’m a huge fan of ordering online and having it shipped to my doorstep! Even better is that you don’t need a coupon that you may lose or fill out a rebate that takes more time! And all you have to do is shop. You can buy just one box for savings, or you can buy up to three and treat yourself with that $15 you just saved!